A gold petal bracelet with a stem of white diamonds with a watchband style. 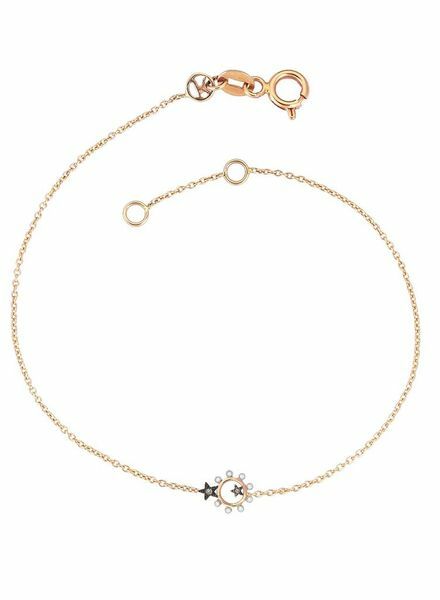 A rose gold bracelet with white and champagne diamond circle and star accents. A sterling silver bangle bracelet with black diamond. A leather with silk band bracelet with mixed stones. Brass bangle with leather inside and large thorns. Brass bangle with leather inside and small thorns. 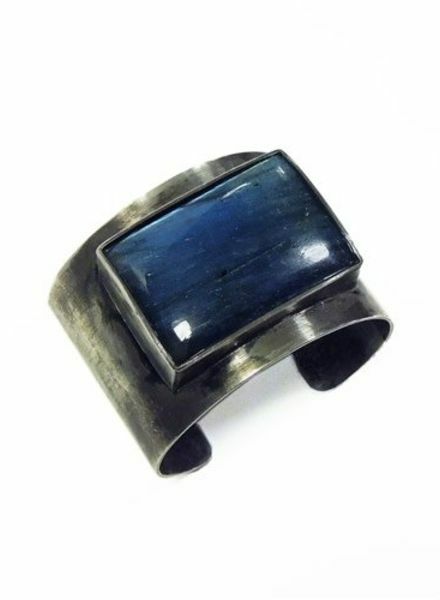 Large sterling silver cuff encasing large rectangular labradorite stone. 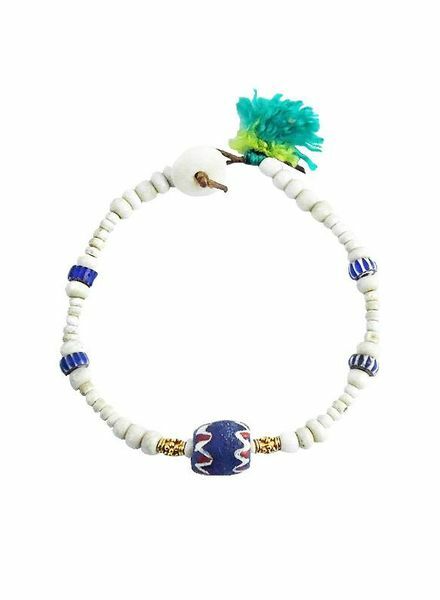 A bracelet made of mixed stones and puka shells. Oval agate on adjustable brass cuff. Pink morganite stone bezel set in brass, on square-shaped sterling silver cuff. Oval shaped labradorite bezel set in 14 karat gold on brown leather band with button closure.